Georgia has picked up their 15th verbal commitment for the 2015 class and second in the last two days. Deontai Williams, a safety from Jacksonville, was committed to the Florida Gators. But UGA coaches stayed on him and successful flipped him from UF. Rusty Mansell of Dawgs247 first reported news of Williams’ commitment earlier today. Williams (6-1, 185) also held offers from Auburn, Boise State, Louisville, LSU, Memphis, Mississippi State, North Carolina, NC State, Notre Dame, Purdue, UCLA, and Utah. 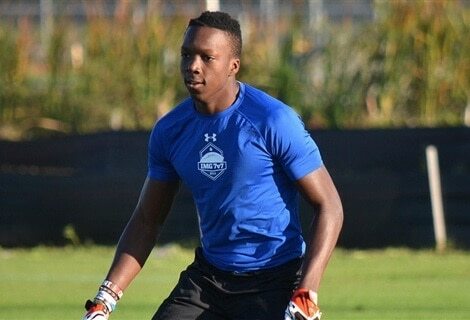 In the 247Sports Composite Rankings, Deontai Williams is ranked No. 461 overall and the No. 29 safety. Rivals.com ranks Williams as the No. 35 safety and the No. 73 recruit in the state of Florida.